Location and it was well decorated. Very comfortable for the price. Friendly staff. Great sized bedroom for the family. Good location. Very friendly staff and extremely helpful.Even sorted an early breakfast for me. Nice quirky building with odd floors but with thus age of building to be expected.The staff and new iwners are very friendly and explained the plans for overhauling the main building.It has a very pretty timeless garden that i would really like to see in the height of summer.Overall had a pleasant one night stay at an affordable price. Great value, great location and great welcome from Gary! The new management team are Incredible. Very quick to respond to issues and get them resolved. I look forward to my next stay. Dating from the 14th century, The Old Vicarage hotel offers a Continental breakfast, a pretty cottage garden and rooms with historical features. The hotel is situated in Bridgwater, in scenic Somerset. The hotel is less than a minute's stroll from popular shops, bars and restaurants. The beautiful bedrooms at The Old Vicarage Bridgwater hotel have work desks and free WiFi access. Some rooms feature exposed beams or sloping ceilings, and all have tea/coffee facilities and a TV. The hotel is 350 yards from the town centre, where guests will find various restaurants, pubs and cafes. 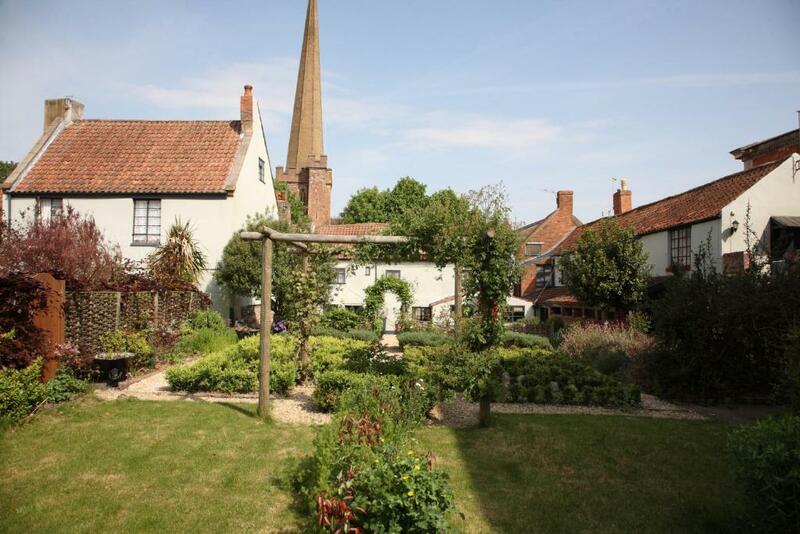 Old Vicarage Bridgwater hotel is located in the town centre, just a few minutes’ walk from the main shops and restaurants. Alternately, Taunton is a 20-minute drive, with Glastonbury and Weston-Super-Mare is a 30-minute drive away. The Old Vicarage Hotel has been welcoming Booking.com guests since 23 Jun 2010. When would you like to stay at The Old Vicarage Hotel? House rules The Old Vicarage Hotel takes special requests - add in the next step! The Old Vicarage Hotel accepts these cards and reserves the right to temporarily hold an amount prior to arrival. Please note that parking at the hotel is restricted, and there are 10 spaces allocated on a first-come, first-served basis. It was going through refurbishment so no bar or restaurant but when it’s done I’m sure it will be lovely. Despite extensive renovations going on we really enjoyed our stay. The owners and all the staff were very friendly and helpful. It's a delight to stay there and it's central location ideal. The inside of the main building is undergoing renovation so is in bits at the moment.This however will be for the best from what the owners explained.The car park is tight to manoeuvre into but if your a goid enough driver then not that much if a problem.Stairs steep up to room we had. Would prefer full English breakfast rather than continental breakfast but good to hear that this is planned soon. Gary the assistant manager was very friendly and helpful as he was on our previous visits.The location of the property is perfect for any day trips and in walking distance to some great restaurants ect.Thanks again Gary. The glare from the spot lights at eye level in the breakfast room.